UFAN’s Division of Eosinophilic Support (DOES) is proud to be an official National Eosinophil Awareness Week Partner with the American Partnership for Eosinophilic Disorders (APFED). National Eosinophil Awareness Week runs from May 15-21, 2016. 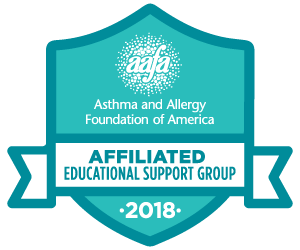 By becoming a partner, UFAN pledges to use this time to educate others about these rare, chronic allergic diseases. In order to really capitalize on this special week, UFAN also held an art contest where those who suffer from food allergies, and/or eosinophilic disorders could creatively express what this year’s theme, “React with Respect”, meant to them. “We’re grateful for the wonderful awareness and groundwork APFED has laid for our eosinophilic community, and we hope that we can build off of that and continue to grow resources for those in our local area that suffer,” said Zundel.